Call us at (865) 531-3011 for more information about our services or to schedule an appointment. Dr. Doody is board certified and recertified in Obstetrics and Gynecology as well as Reproductive Endocrinology and Infertility. His training was in the hospitals and laboratories of Baylor College of Medicine in Houston. He finished his residency in 1985. His Ph.D. is in Biochemistry and he has published numerous peer reviewed articles in basic and clinical sciences. Major interests include metabolism, hormone action and laparoscopic safety. He is a member of the American College of Obstetrics and Gynecology, the Society of Reproductive Endocrinologists, the Society of Gynecological Surgeons, the Society of Reproductive Surgeons, the American Society for Reproductive Medicine and the Society of Laparoendoscopic Surgeons, among numerous others. 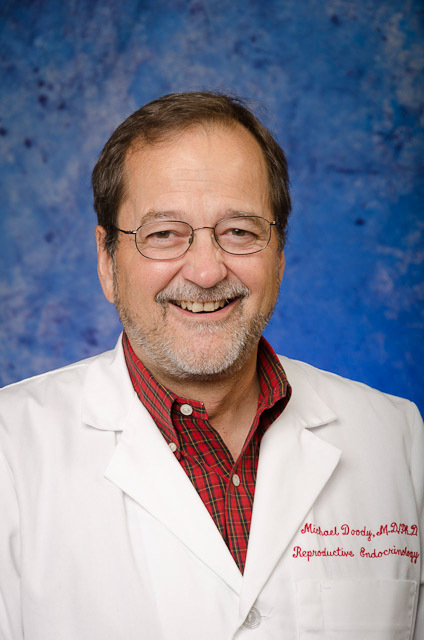 He is a founding member of the newly formed International Pelvic Pain Society and he has been an Associate Professor of OB/GYN at LSU, Tulane University and UTMCK. He has performed approximately 9,000 laparoscopic surgical procedures for a variety of indications. He is the father of three sons. Andra received her Master’s of Nursing from the University of Tennessee Knoxville in 2002. She received her Master’s of Science with a Concentration in Exercise Physiology in 1997. Andra is certified as a Family Nurse Practitioner through ANCC and as a Menopause Practitioner through NAMS. Andra’s practice encompasses gynecology, PCOS, menopause, sexual health, infertility and health promotion across the lifespan. She has worked for Dr. Doody since 2002. Andra is married to Erick Hutchins. They have two children. Brenda has been working alongside Dr. Doody since 1999. She enjoys involvement with patients and their families, the teaching aspects of her job and the opportunities for learning in this very challenging field. She has grown children and is committed to showing the values of her faith. Pamela came to the practice from a background in hospital – based GYN nursing. She has also been involved in the “front – line” management of all of our patients since 1994. Pam’s experience and abilities as a communicator have made her an irreplaceable asset to the practice. She is the mother of two children.